As we finished our International Contact Seminar Erasmus+, with satisfaction of our participants, we provided them many useful tips and hints. 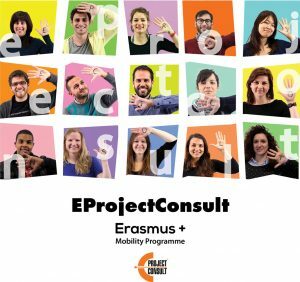 It is time to start thinking about writing the application for the deadline which is on the 2nd of February 2017 in the frame of Erasmus+ KA1 VET mobility. One of the useful tools, which we discussed during the seminar is EQAVET – European quality assurance in vocational education and training, which ensure a good quality for VET projects. Planning – It is about setting up clear, appropriate and measureable goals and objectives in terms of procedures, tasks, policies and human resources. This process starts during writing the application. Sending organisation together with receiving/intermediary organisation decide about tools which will be used to provide better quality. Implementation – In this stage important is to establish procedures to ensure the achievement of goals and objectives. After the arrival of students, they are placed in companies, intermediary organisation needs to monitor and check if the principles of quality are maintained. Evaluation – Create mechanisms for the evaluation of achievements and learning outcomes by collecting and processing data in order to make informed assessments. It is worth to do daily/weekly evaluation, to control the participants and provide them good quality of internship. On the end intermediary organisation should prepare final evaluation to sum up all practice of students. Review – Develop procedures in order to achieve the targeted outcomes and / or new objective. After processing feedback, key stakeholders conduct discussion and analysis in order to devise procedures for change. After evaluation, intermediary organisation have the results and outcomes on which it can work and improve quality if there is something what needs to be change. It will help to avoid unexpected crisis in future. How does the EQAVET framework benefit VET providers, learners and other organizations. The framework aim is to improve learners, employability and opportunities for mobility by working towards an agreed understanding of what constitutes quality. This helps people moving to a new job or further learning in their own country or across borders as their skills and qualifications are very good recognized. It helps improve skills level and reduce unemployment it supports high quality that (VET) that is more likely to meet the needs of the labour market. Why is Vocational education and training important in Europe? The EU has identified VET as an essential tool to help young people work in the modern economy and improved youth reemployment recent economic development of highlighted the need for a highly skilled workforce. VET is helping to stay competitive and innovative as well as improving youth employment. The European Union together with its member states try to make sure training and qualifications are more flexible and open to people of all ages and backgrounds to make it easier for people to work study are trained in other countries or in different sectors of the economy, to develop creative, innovative and entrepreneurial thanking and students reliable quality assurance of that supported by the EQAVET framework is key to achieving this goals.